Most people are familiar with Japan’s declaration of war against the United States – its infamous attack on Pearl Harbour. What is not so well known is the pathway to war. Eri Hotta’s book provides a detailed account of how the leaders of a nation placed themselves on a course towards war that then became a self-fulfilling destiny through delusion, divisive internal politics, poor diplomacy, and vanity. With the exception of a handful of hotheads, the majority of the cabinet, the prime minister and emperor knew that they stood little chance of defeating the United States in the long term. Rather than lose face and try to interrupt the unfolding path they allowed the vocal minority to dictate policy and set the timetable for when diplomacy gave way to fighting. As her analysis of key Japanese sources reveals, there were plenty of opportunities to re-direct and correct poor decisions that were consistently foregone. To provide wider context, Hotta sets out Japan’s development as a nation from the mid-nineteenth century up to 1941, including her relations with the West. Most of her analysis though focuses on the years immediately prior to 1941, including the on-going war with China, Japan’s relationship to Germany and the Soviet Union, and its ambitions for a strong Asia under its leadership, and the fateful year itself. She does this by detailing the key political events and meetings and the views and roles of the main actors. At times the narrative is a little jumbled, especially in the first third, as the account swaps back and forth across time periods. 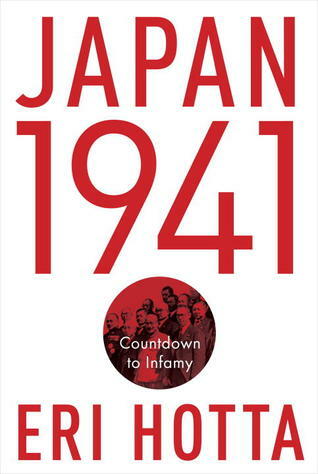 Nonetheless, Japan 1941 is a fascinating account of fatal politics in action.